A Russian teenager tragically fell nine floors to his death, as onlookers filmed the ten-minute ordeal. The young man, who was identified by local media as Tamerlan A died immediately on impact with the ground after struggling to pull himself to safety. 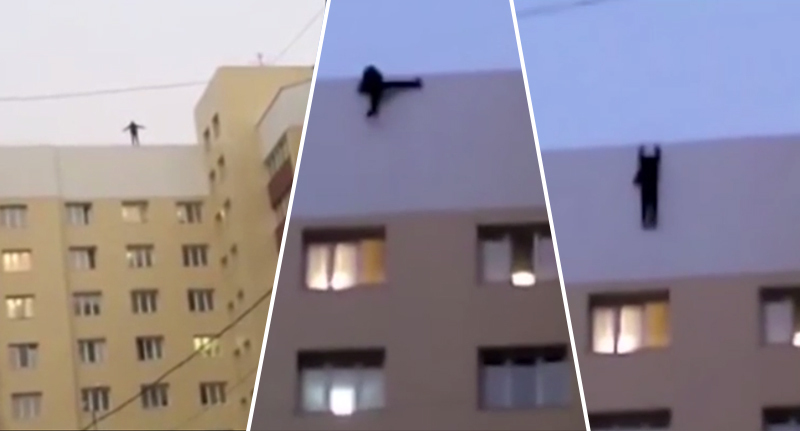 Some say the 19-yer-old was on the roof to take a selfie, while others claim he has climbed the nine floors to commit suicide, but changed his mind. Witnesses were visibly upset by the fatal accident, which happened in the town of Novy Urengoy in north central Russia. It does beg the question, could the person filming not have aided the boy in some way, rather than capture his tragic death on camera to share with the world?